An MOT (Ministry of Transport) test is an annual assessment of a car's safety, emissions and roadworthiness, required by law in the UK for any car that is three or more years old to ensure that your vehicle is safe to drive. MOT checks can only be carried out at garages with technicians that have been officially certified by the DVSA (formerly VOSA). Cars that do not have a valid, up-to-date MOT certificate are not legally allowed to drive on UK roads and may have their insurance invalidated. You can also be fined up to £1000 for driving a vehicle without a valid MOT Certificate. Most cars, 4x4s and vans undergo a Class 4 MOT, but motorbikes, goods vehicles (between 3,000-3,500kg) and vehicles with more than 12 seats are tested to different criteria. To improve the chances of your vehicle passing its MOT we've put together a pre-mot check guide & video to help you check and avoid common MOT failures. An MOT is not the same as getting your car serviced, however, these can be done at the same time, and you'll even get your MOT or £20. Booking an MOT is easy, just follow the steps below. Hourly appointments are available at over 160 DVSA certified centres across the UK. Book a class 4 MOT online today. Class 4 MOTS are the most common type of test carried out and are suitable for cars, small vans and motor caravans (up to 3,000kg). All tests are carried out by DVSA approved technicians. *Available at selected centres. Class 7 MOT tests are suitable for Goods Vehicles (including pickups, transits, motor homes, horseboxes & vans) over 3,000 kg up to and including 3500 kg DGW. Tests are performed by DVSA approved technicians. *Available at selected centres. MOT tests are available from over 160 ATS Euromaster centres nationwide, so you can find a local convenient hourly appointment available at a time to suit you. 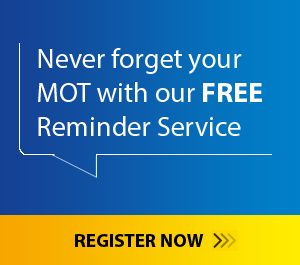 To ensure your car's MOT goes as smoothly as possible, we offer a free annual reminder service, online booking and useful MOT tips on how to help your car pass its MOT test. What Should I Check Before An MOT? There are a number of quick checks you can perform on your vehicle before taking it in for its MOT test. These include lighting & signalling, suspension, brakes & tyres. 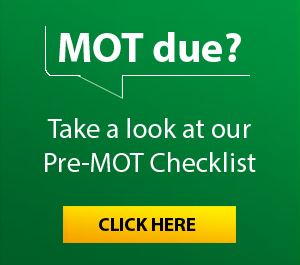 We've put together a pre-mot check guide & video to help you check and avoid common MOT failures. What Documents Do I Need For MOT? In most cases, no documentation is required as our MOT testers will be able to find all the information they need within the DVSA database. However, if your vehicle is undergoing its first MOT then please bring your V5C vehicle registration certificate. The same applies if you have changed the registration plate of your vehicle since its last MOT test. When Can I Book My Car In For An MOT? You can book your vehicle in for its MOT test up to one month, minus one day, in advance of its current MOT certificates expiry date. This will also preserve the existing anniversary of expiry. This also means your MOT is effectively valid for 13 months. Most MOT failures are caused by issues that are easy to identify and in many cases can be addressed at home, with lighting and signalling issues consistently being the most frequent area of MOT failure. Our MOT prices vary from centre to centre, but if you book a Class 4 MOT test with us online, you will benefit from our exclusive online rate of just £29.99, a saving of £24.86, when compared to DVSA’s (Driver and Vehicle Standards Agency), recommended maximum price. 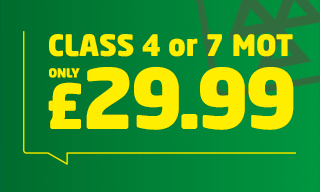 We also offer a Class 7 MOT test for only £29.99 online. a saving of £28.61, when compared to DVSA’s (Driver and Vehicle Standards Agency), recommended maximum price. In some cases, your vehicle can have a partial retest for free or a reduced MOT fee. You’ll only need a partial retest if you take the vehicle from the test centre for repairs and take it back within 10 working days. You can be charged a partial retest fee for this. There are stricter rules for diesel cars with a diesel particulate filter. A major fault will be recorded if smoke is seen to be coming from the exhaust, or if there is evidence that the filter has been tampered with. The design of the MOT test certificate has been updated to include all of the changes to the MOT process, including the additional checks and changes to defect classification. Cars, vans, motorcycles and other light passenger vehicles won’t need to have an MOT from the 40th anniversary of their registration. You can double-check when your vehicle was first registered here: https://www.check-mot.service.gov.uk/.